Two loving foxes with heart-shaped noses, cuddle together on the green grass. 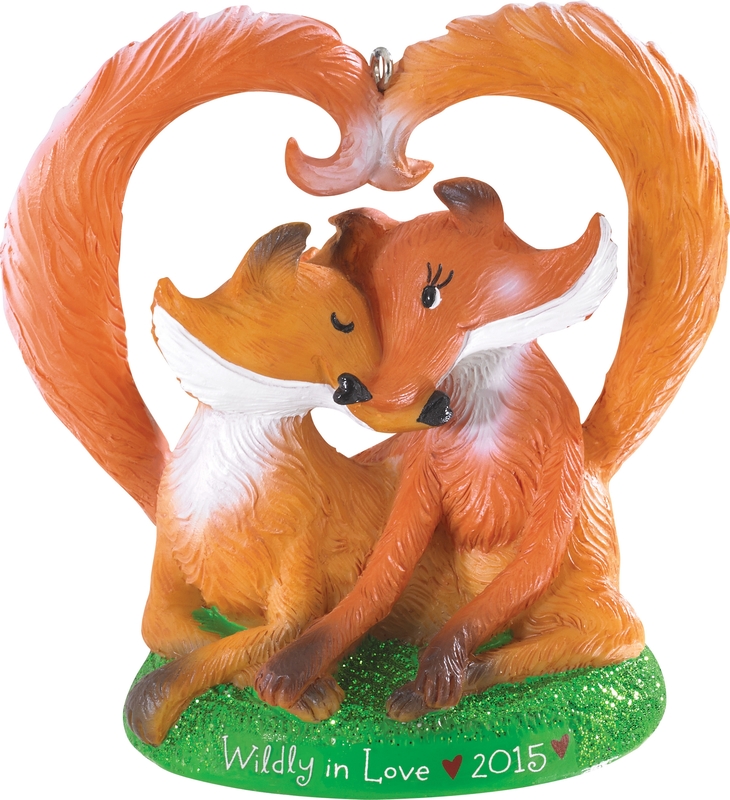 "Wildly in Love 2015"
Lovely ornament! Shipped quickly and securely. I fell in love with this ornament. I love the tail "heart" & the looks on the foxes' faces. This a great ornament. I bought this as a keepsake for my daughter's engagement. It's playful and loving and it's perfect!